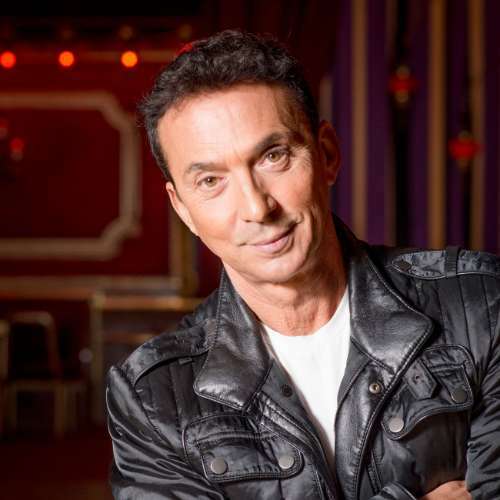 Strictly Come Dancing judge Bruno Tonioli will cast his critical eye over the sunflowers and sweet peas rather than the samba and salsa as he opens the 2019 Southport Flower Show. The TV favourite is to welcome visitors to the seaside event as it celebrates its 90th anniversary this summer with a giant garden party. Bruno has been a main judge on Strictly since the BBC show first started in 2004 following a hugely successful career as a dancer and choreographer and also judges on the US show Dancing With The Stars. He will be appearing at Southport on Thursday 15th August for the opening of Britain's largest independent flower show. Bruno said: “I can’t wait to see everyone in Southport this summer and help celebrate the 90th anniversary garden party. “One of the highlights of every Strictly season is when we visit this part of the UK for the Blackpool Tower Ballroom show - but it is always in November and the weather is usually a bit wet and windy. Bruno was born in Italy and moved to England in the 1970s where he made his name as a dancer and choreographer working with some of the biggest names in showbiz. He worked on videos and stage shows with Tina Turner, Elton John, The Rolling Stones, Boy George, Duran Duran, Freddie Mercury, Sting and Bananarama. The Southport Flower Show is famous for its fabulous floral displays, show gardens and competitions for amateur growers which have attracted visitors to the resort for more than eight decades. The showpiece Grand Floral Marquee features displays from Britain’s top growers and other highlights include the food festival and entertainment for all the family. Bruno will join a host of famous names at Southport this year including TV gardener Matthew Wilson who will be sharing gardening tips and advice with visitors. General Manager Ray Roukin said: “It’s our 90th anniversary this year and Bruno is the perfect person to get the garden party started. “We're proud the show has been such a success for 90 years and generates a significant boost to the regional economy. Southport Flower Show, which last year attracted over 50,000 visitors, runs from Thursday 15th to Sunday 18th August. Early bird tickets are available for just £18.50 per person until the end of May. For more up to date information on the show, celebrity announcements, details and ticket bookings visit www.southportflowershow.co.uk.